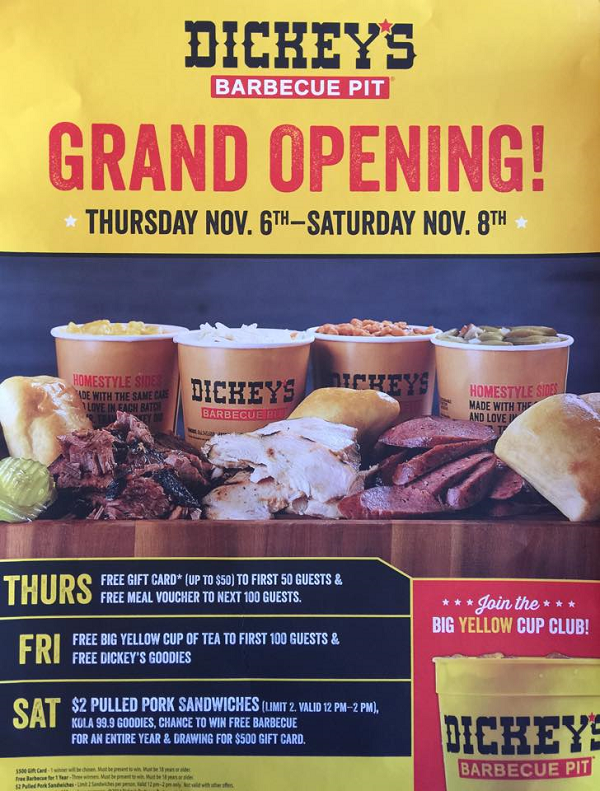 The new Dickey’s Barbecue Pit in Riverside Plaza (3540 Riverside Plaza Drive, Suite 314) is celebrating a three-day grand opening beginning at 11 a.m. this morning (November 6). 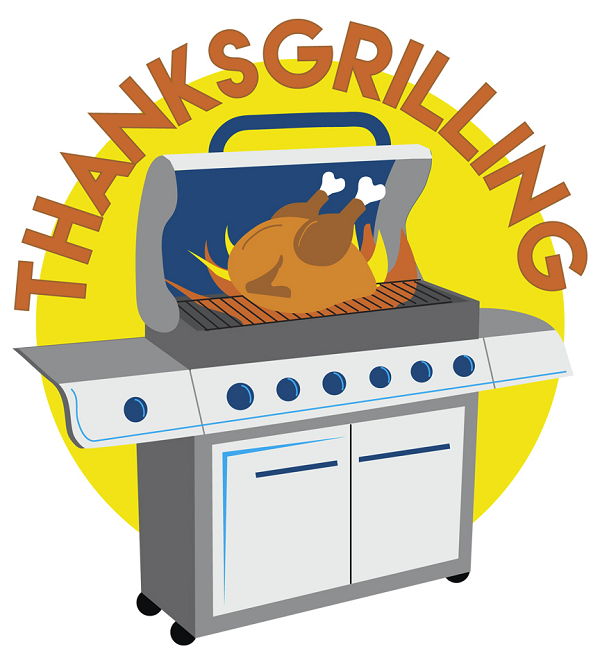 Today, the first 50 guests receive gift cards worth up to $50 and the next 100 guests will receive free meal vouchers. 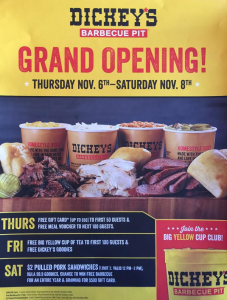 On Friday (November 7), the first 100 guests will receive a big yellow cup of tea, plus there will be giveaways of Dickey’s swag all day long. Tomorrow (December 4) and Thursday (December 5), the Food Network’s “Restaurant: Impossible” show will be remodeling and filming at Redlands’ Mill Creek Cattle Co. 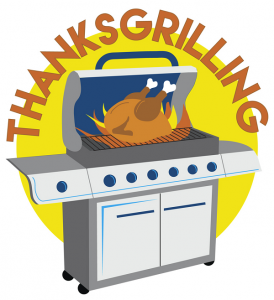 The producers are looking for volunteers (including contractors and skilled electricians and painters) to help with painting, crafting, cleaning and decorating both days. 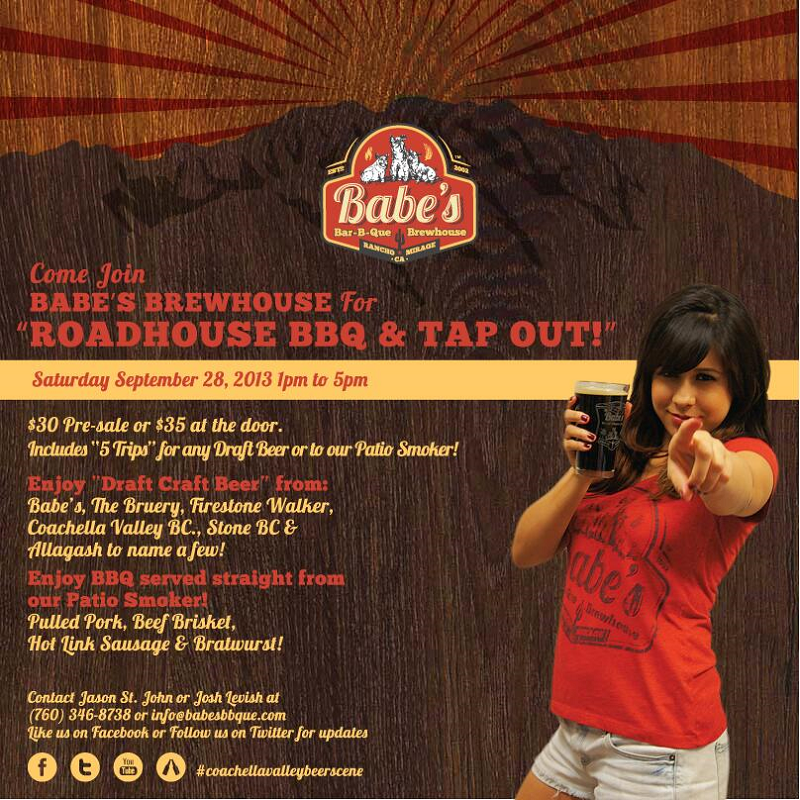 Barbecue fans and beer lovers will want to head to Babe’s Bar-B-Que & Brewhouse in Rancho Mirage between 1 and 5 p.m. tomorrow (September 28). 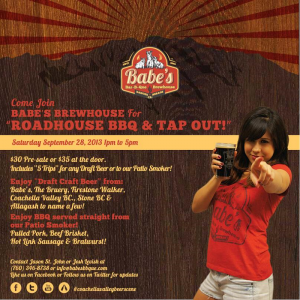 That’s because the brewery restaurant will be the site of a Roadhouse BBQ and Tap-Out event. 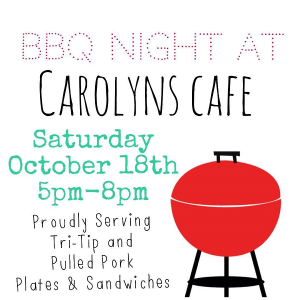 For $35 (or just $30 in advance), you can have five draft craft beers or five BBQ items from their patio smoker. 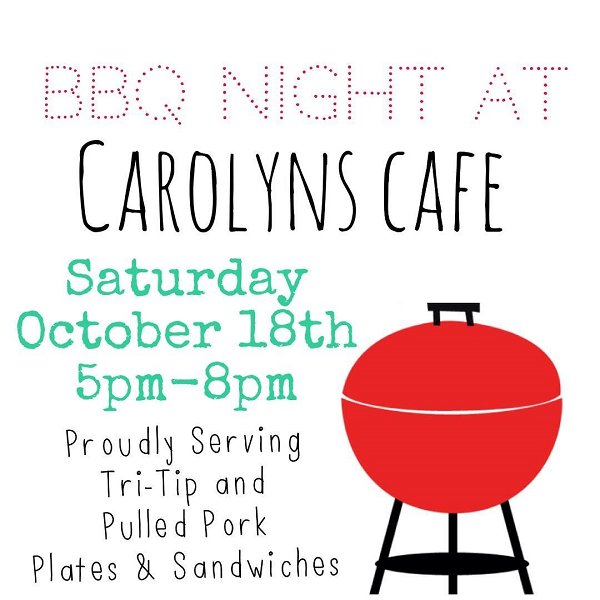 Or you can have two draft craft beers and three BBQ items from their patio smoker. 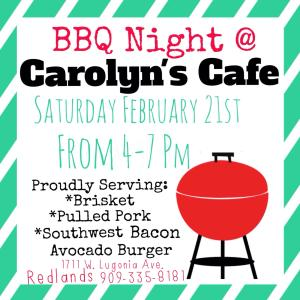 Or you can have one draft craft beer and four BBQ items from their patio smoker. Or, well…you get the idea. You get a selection of five items, your choice of brew or ‘cue. 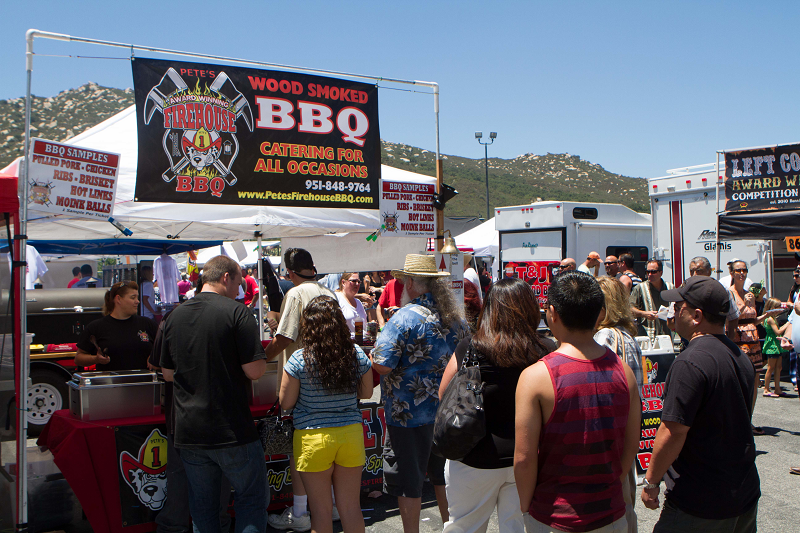 Another great Inland Empire food event landed in our inbox this morning: Pechanga’s second annual BBQ Championship is Saturday (June 22). Dozens of ‘cuing teams from Washington, Utah, Arizona and all over California will be competing in the event, which will run from 10 a.m. to 6 p.m.
They’ll be hoping to take home their share of the $20,000 prize in this Kansas City Barbeque Society event, the largest in Southern California. Admission is just $5, and kids 10 and younger are admitted free. Barbecue tastings and beverages are extra.